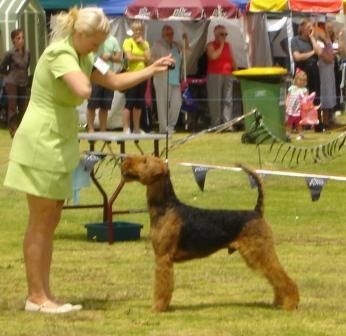 Son of the WORLD'S AIREDALE all time ALL BREED BEST IN SHOW record holder, American Champion Evermay's High Performance (Max). Max is also the father of Romper's half sister and WORLD WINNER in Stockhom. This boy's pedigree is impeccable. 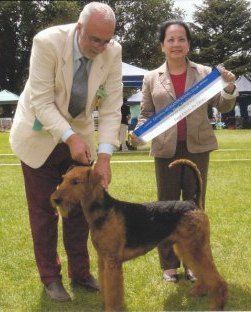 We are so proud that other breeders have recognised Romper's quality and pedigree and Romper is now the most used Airedale Stud dog (by us and other breeders) in our whole time in dogs.